The mother of one of two missing prostitutes said she fears her daughter is being held against her will. 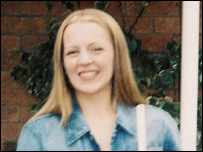 Tania Nicol, 19, disappeared on 30 October after leaving her home to work in the red light district in Ipswich. Kerry Nicol appealed for her daughter to get in touch if she could. 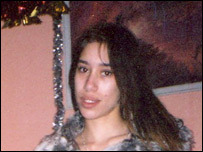 On 15 November, prostitute Gemma Adams, 25, also disappeared in Ipswich. Her boyfriend of 10 years, Jon Simpson, said she would not have gone away without telling him. Twenty thousand photographs of the two women were handed out in Ipswich last weekend and police talked to 400 motorists in the town on Monday night. Kerry Nicol said: "There's a lot of insane people around, a lot of people walking around that are not quite normal. "She might have got in a car with someone like that. He might be holding her somewhere." Mr Simpson, who reported Ms Adams missing, said: "I gave her a kiss, we said we loved each other and she walked down the road and that's the last time I saw her. "We had a routine where if she wasn't back by a certain time, then I start worrying. "I sent her a couple of text messages but there was no reply to them. "I tried phoning her and her phone was off so from then I knew there was something wrong."